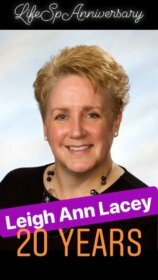 In honor of our Care Manager Team Lead, Leigh Ann’s LifeSpAnniversary, we bring you our top ten favorite things about Leigh Ann! 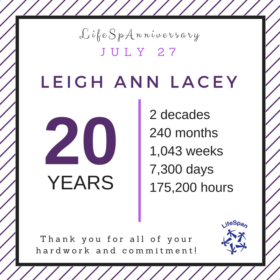 We are so proud to have worked with her these past 20 years! Her compassion, dedication, and artistic skills are just a few reasons why we love her! Thank you for joining us for our new venture, In the Loop with LifeSpan. 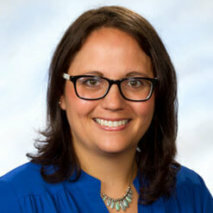 LifeSpan strives to highlight our commonalities while celebrating our differences throughout our community, and we trust that this blog will be an extension of that mission.